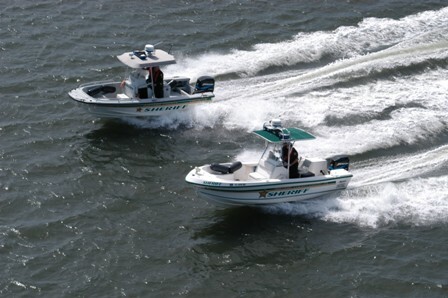 Using specialized equipment such as V-hull vessels, airboats, 4×4 trucks and all-terrain vehicles the Unit enforces marine laws and ordinances, responds to calls for service, investigates boating accidents and conducts boating education and safety inspections. The Unit works in conjunction with other state and federal entities on homeland security issues and with the interdiction of illegal activities such as narcotics and refugees. Additionally, the Ag/Marine Unit works closely with local farms and ranches to help keep the county’s natural resources well preserved for future generations. As active outdoor enthusiasts and resource enforcement deputies we are aware of the vast amount of information needed to stay legal and safe in your outdoor activities. We have encompassed a large amount of information that we feel will assist you in your goal to be a safe, and skilled outdoor steward utilizing Brevard Counties spectacular natural resources. Complete a boating education course. One of the primary factors contributing to vessel accidents is operator inexperience. Get your boat checked for safety’s sake. The Vessel Safety Check (VCS) is a free public service offered by Coast Guard Auxiliary and U.S. Power Squadron volunteer organizations. Always wear a Coast Guard approved life jacket and make sure all your passengers wear one too. Avoid alcoholic beverages while boating. More than one-third of all boating deaths resulting from collisions involved alcohol use. Be aware of weather conditions before heading out on the water and know what to do if the weather suddenly changes. Pack extra gear you may need. A flashlight with fresh batteries, flares, a first aid kit, sunscreen, and drinking water are a few items that should be packed in a watertight container that floats. Tell someone where you are going, who is with you, and how long you plan to be out. Then stick to your travel plans. The Ag/Marine Unit may attend Homeowner Association meetings when they relate to waterway issues and concerns and also participates in the county’s Marine Advisory Council Board. The Unit has acquired an interactive robotic boat that helps them to teach boating and water safety to elementary age children. “Bobby the Boat” is a fully animated robot that can be brought into schools or other civic groups to interact with children and teach valuable water safety concepts. For more information about the unit or to request a presentation from “Bobby the Boat” contact the Brevard County Sheriff’s Office Ag/Marine Unit at 454-6643 or via email to specialops@bcso.us.